Win 1 of 20 ZenFone ZOOMs – #ZoomToWanda! You are at:Home»BUZZ»Win 1 of 20 ZenFone ZOOMs – #ZoomToWanda! 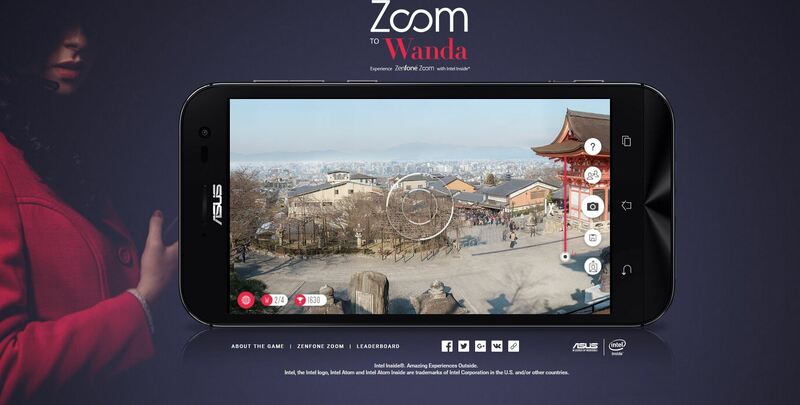 To celebrate (and promote) the latest mobile phone by ASUS, it has released a fun (and challenging) mobile game, called Zoom To Wanda, which has a Where in world is Carmen Sandiego vibe. You start in Italy where you have to “Zoom” in the images to find clues, in the beginning it can be quite confusing, but once your eyes adjust and you figure out that you’re searching for “red” clues and posters, the game is really fun. Once you have found all 4 clues to locating Wanda, you move to the next location. If you want to move up the leaderboard (Top 20 highest scores will be rewarded a ZenFone Zoom), make sure you look for all of the posters. There are a total of 12 clues and 3 cities, but depending on your search abilities this could take minutes to hours! Even if you don’t plan to play for the ASUS giveaway, its still fun to try!